Training our military's heroes to protect and serve our country. 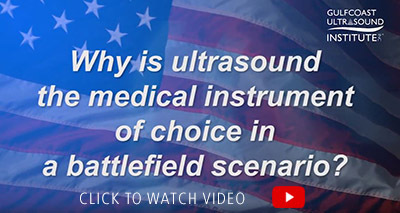 Gulfcoast Ultrasound Institute is proud to be a GSA Schedule Contract Holder offering government services for easy access in ultrasound training and continuing medical education CME to our military and federal agents protecting and serving our country. Gulfcoast Ultrasound Institute have gone through the extensive process working with the General Services Administration to create a custom price list of courses specifically for federal employees. Gulfcoast Ultrasound Institute is also an approved education provider through GoArmyEd (tuition reimbursement for Army Civilians) for those that do not qualify for gsaadvantage.gov. The U.S. General Services Administration (GSA) is designed to allow federal employees from all branches of the government to easily acquire goods and services through approved vendors. Those approved vendors have gone through an extensive process to ensure their items and services to meet the needs of federal employees at a negotiated discounted price below what is available to the civilian marketplace. Purchasing through GSA streamlines the purchasing process which enables federal employees to purchase without having to provide multiple bids prior to approval. Federal Employees that are interested in enrolling through GSA visit www.gsaadvantage.gov, Search “Gulfcoast Ultrasound Institute” to view available live courses, blended courses, online courses and registry reviews. Select the program of choice, fill out the approval form, and a contracting officer will approve or deny your request. If approved, a member of the GCUS staff will be notified and will fulfill the order. If there are products that GCUS offers that are not listed on gsaadvantage.gov, please email your request to contracts@gcus.com.